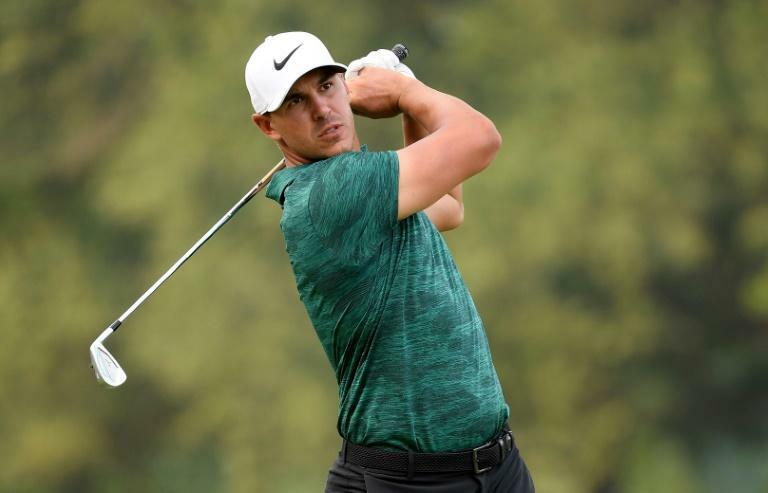 In-form Brooks Koepka is determined to bring his triple Major championship-winning focus into the Northern Trust Open here Thursday, the opening event of the lucrative FedEx Cup Play-Off Series. Koepka, 28, is returning to competition for the first time since sealing the third major of his career at the PGA Championship in St. Louis a fortnight ago. The American could claim the world number one ranking with a successful showing in the $9 million (7.76 million euro) event at Ridgewood Country Club. It is Koepka's fourth straight appearance in the Northern Trust, an event that has not been all that kind to the 2017 and 2018 US Open winner. He missed the cut in 2015, finished tied for 70th in 2016 and shared 49th place a year ago. In the bigger Play-Off Series picture, Koepka has contested 11 of the 12 events staged, finishing a best of sixth in last year's Tour Championship. He also missed the cut in the opening two Play-Off events of 2015. "I know my Play-Off record is not very good," Koepka said. "I don't need anybody to tell me. I think two years ago, what was it, I think I missed the first two cuts, I believe. And then I just haven't shown up. "I don't know if that's being a little tired, a little lazy, not the preparation that you really need to put the emphasis on the FedExCup that I should have been. "Maybe just trying a little bit too hard. I think sometimes that can be a fault, too." And after also denying Tiger Woods victory at Bellerive, the pressure is on Koepka's shoulders to perform at a non-Majors level given three of his four PGA Tour victories are Major Championship titles. "I'm trying to be better about making sure that every PGA Tour event that I am as focused as I am the majors," he added. “And I probably haven't done the best job at that. Being conservatively aggressive in certain opportunities and getting over things probably looks like I could care less but sometimes I do run hot and I can be excited." Koepka and a powerful field that includes Tiger Woods, will be chasing down world and FedEx Cup number one Dustin Johnson this week. Johnson, the defending Northern Trust champion, has set his sights as finishing the season as PGA Tour number one at the climax of the FedEx Cup in Atlanta next month. "To lift that trophy in Atlanta would be definitely a big accomplishment," he said. “It's something that I really would like to win. To be the FedEx Cup champion means obviously you played really well in the playoffs but you also had a great year, too. "So, it's something that it's definitely on my list of accomplishments that I would love to achieve."